Gonzaga head coach Mark Few looks on during a game. Another week and another loss for the Zags against a Top 10 program. But unlike the game against the Tennessee Volunteers, Gonzaga never looked like they were about to take over as they chased the North Carolina Tar Heels for the entirety of their game in Chapel Hill. The two games and the second half of the Duke and Washington games highlight one major concern for the team moving forward: lack of depth. 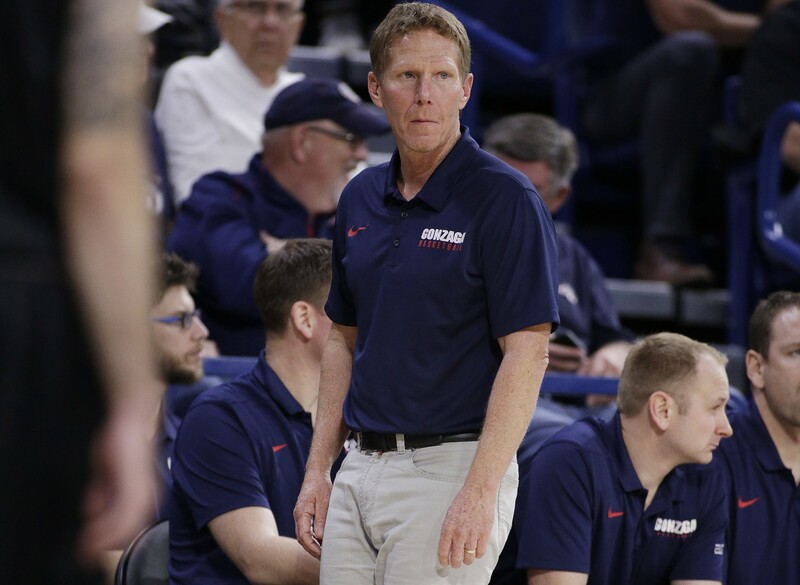 The Zags are currently playing three guys (Josh Perkins, Zach Norvell and Rui Hachimura) over 30 minutes a game, something Mark Few hasn’t done since 2015. The minute log can be partially blamed on the absence of Killian Tillie and Geno Crandall due to injury, but Crandall saw a precipitous drop off in minutes once the team moved on to bigger and better competition in Maui. In fact, Crandall was playing himself out of the lineup thanks to an average of six turnovers per 40 minutes. Tillie would have of course been massive for the Zags in their last two games. Coming into the year it was a debate who was the best player on the team between him and Hachimura. Surely his 47.9 percent three-point average and 5.9 rebounds per game would be helpful. As would his length and size, as the Zags have found themselves one of the most porous defenses in the top half of college basketball. They are, unsurprisingly, the best offensive team, according to KenPom, yet 63rd ranked defense in the same computation. For perspective, no other top 15 team in the rankings is below 30 in defensive ranking. North Carolina shot 52 percent from the three on Saturday and Tennessee shot 41 percent the week before that. Some of the poor results can be explained by simple poor luck, but most of it comes down to the zone defense that the coaching staff is using to try and save the legs of their two guards carrying the lion’s share of minutes. Neither Norvell or Perkins are known for their speed or agility, especially side-to-side. And playing zone against a team that has even moderately good ball movement will only exacerbate that. North Carolina is far more than good offensively, thus the first 100 point defensive lapse for the Zags since 2007. Perhaps even more concerning than opponent field goal percentages is the absolute defeat the Zags have faced on the glass against their last two opponents. The Zags had 16 defensive rebounds against the Tar Heels. The Tar Heels had 14 offensive rebounds. It’s hard to overstate how devastating 14 offensive rebounds are against a team shooting 55 percent on the game. The rebounding killed the Zags against the Volunteers, but it simply guaranteed the game at an arm’s length distance against UNC. Soaring Brandon Clarke only netted three total rebounds while his matchup Luke Maye nabbed a total of 16. A portion of this poor rebounding performance can be attributed to the zone as well, as it’s difficult to find a body to box out when you are no longer guarding a specific player. The Zags will look to reset against a struggling UT Arlington on Tuesday night. The Zags won’t play another top 100 KenPom team until Jan. 12 when they go down to San Francisco to face the Dons who rank 48. Tillie and Crandall should be back, healthy and acclimated by that time. "It looks to me like it’s the best league out West, and it’s been a while since we’ve been able to say that."